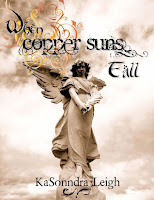 In fifteen-year-old Chela Prizeon’s city, alchemy is forbidden and angels hide among the mortal. With a deadly virus ravaging the globe, Chela’s nightmarish memories compels her to experience a past riddled with gloom, and now her brother is infected. Chela’s only hope is the Caduceans, slayers sworn to protect the last seven Light Keepers and the ancient memories they share. A group led by the sometimes elusive, sometimes infuriating boy who intrigues Chela. But can she trust this boy with the mysterious past, someone who can influence her memories? This is a book that had a lot going for it, but didn't quite deliver. The story idea was intriguing and had really great potential. Again we have fallen angels and their half-human offspring, but this book took a different approach than others I have read so far that use the same theme. There was the possibility to create a really wonderful world full of engaging characters, but the story just missed the mark somehow. The main issue, I think, was the lack of background information. It would have been nice to know more about what had happened in the past that led to the life the characters were currently living. Things were referred to, but never fully explained and just a little more context would have been helpful. The main three characters came across okay; although, I never really took to Chela or became fully involved in her story. I found my mind wandering a lot as I read as, despite the initial hook, the book never drew me in completely. I also found that a lot of secondary characters were introduced. They were never fully fleshed out and it made it hard at times to keep track on who was who and who was on which side, leading to some minor confusion during major scenes. There were a few minor language issues (some problems with subject-verb agreement etc), but these were rare and the prose was mainly good. So, I am giving this book three stars. It had issues, but there was also a lot of potential that the author can build on in the future. 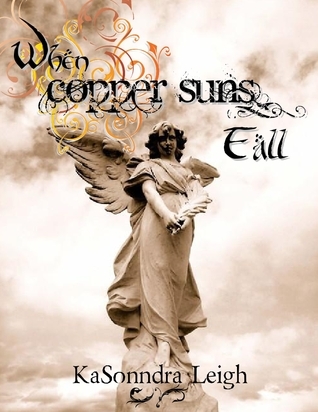 Worth checking out if you are a fan of angels and keen to read work by new authors.